Greenbelt recently received $20,000 from Fields Pond Foundation to help purchase 23 acres on Battis Road in Merrimac, adjacent to the Merrimac Town Forest. 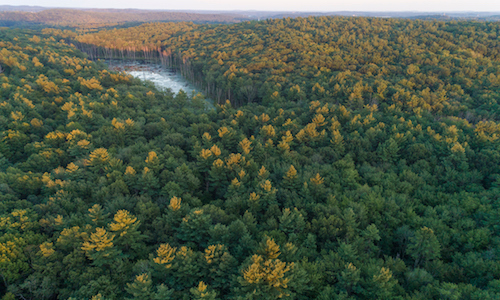 Conserving this land will prevent a permitted homesite from being developed; protect critical habitat along Cobbler’s Brook, including a beaver pond and heron rookery; and enable trail expansion and additional access to the Town Forest. Thank you, Fields Pond Foundation, for this generous grant! 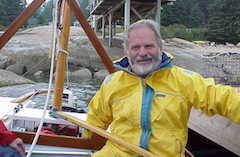 Francis "Mickey" Culver joined the Greenbelt Board in 1998 and quickly brought his influential leadership to bear on all aspects of the organization. Mickey passed away in early December and will be missed by many. There's still time to give! 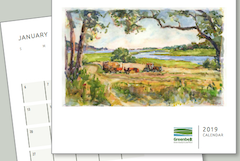 Your donation to Greenbelt’s Annual Fund will have an immediate impact on the work we do and leave a lasting legacy of protected land throughout Essex County. Please consider a meaningful gift before year-end. 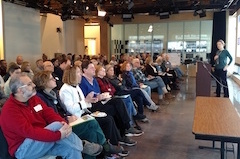 A resounding success, Greenbelt's conference in early December encouraged peer learning among municipal staff, volunteers, and residents involved in open space use and protection. Greenbelt is excited to announce a new fellowship program. 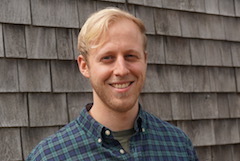 David Heacock, a graduate student at Salem State University, will be working on GIS initiatives with our conservation department. Many thanks to the Towards Sustainability Foundation, Land Trust Alliance Land and Climate Program, and the New England Biolabs Foundation for making Dave's work possible. Need a last minute gift idea? 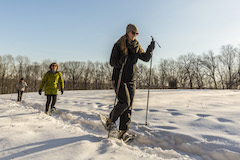 Give the gift of Greenbelt membership and help conserve open space in Essex County!